The Worshipful Master and Members of The Heritage Lodge are pleased to welcome you to our website. Please feel free to visit as you may. Freemasons are encouraged to contact us for further information. The desire for the creation of an Historical Lodge was felt by a number of Masons concerned about apparent erosion of our heritage and apathy towards its preservation. Quantities of memorabilia was being lost because there was no procedure for restoration or preservation of important links with our past.The concept was introduced at a Regional Masonic Workshop in 1976. The interest generated provided incentive to proceed with organizational meetings held in homes, offices and temples, climaxing with a 1977 landmark meeting at the University of Guelph. Prominent speakers addressed the merits and possible obstacles of the proposed objectives. Following a careful analysis of the failure of similar Masonic research organizations it became obvious that an enduring type of organizational structure was needed to provide continuity and permanence. What better choice than the basic structure of the Craft Lodge which have endured vagaries of time for centuries? A Petition for a Warrant of Constitution was signed by 104 Charter Members at a formal ceremony on May 18, 1977. The Heritage Lodge came into being Under Dispensation Sept. 9, 1977, by authority of M.W. Bro. Robert E. Davies, Grand Master. The Lodge was instituted Sept. 21, 1977, under direction of R.W. Bro. Charles F. Grimwood, D.D.G.M., Waterloo District. On Sept. 23, 1978, M.W. Bro. Robert E. Davies proclaimed The Heritage Lodge, Numbered 730 on the Register of the Grand Lodge, duly constituted in accordance with ancient usage. At that time 65 had been added to the original 104 Charter Members. The high hopes engendered by the founding members of The Heritage Lodge for future progress moved forward, earnestly endeavouring to follow the objects laid down in our charter. Those aims and objectives, defined after hours of deliberation; were focused on one or two established objectives. No attempt was made to embrace all of the basic objectives at the outset. Second, special projects implemented to challenge and inspire participants. ­ To preserve, maintain and uphold those historical events that formed the foundation of Ancient, Free and Accepted Masonry. ­ To Promote the study of Masonry in general, and to provide a service by responding to requests for Masonic information. ­ To produce Lodge Proceedings, Research Papers, and Historical Reviews: and to arrange special lectures and visual presentations. ­ To organize and maintain a Central Inventory of items of historical interest in the possession of Lodges. ­ To encourage participation by Regular Lodges and their members in the activities of this Lodge. ­ To endeavour to establish a Masonic Museum. 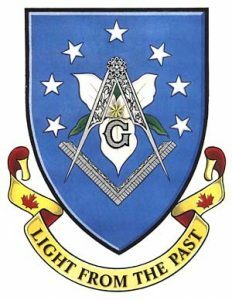 ­ To encourage Masonic scholars and Lodge Historians to become more interested in the history of their own Lodges and their artifacts. ­ We encourage all Ontario Masons to seek further knowledge of the gentle Craft and cordially invite them to use The Heritage Lodge Website for this purpose. We are very pleased to announce the launch of the official Heritage Lodge No. 730 website. We hope you enjoy it and we look forward to any suggestions and comments. Membership to Heritage Lodge No. 730 is open to all Master Masons in good standing . If you would like to join Heritage Lodge No. 730, please send us an email. Did you know that you can search through the Heritage Lodge No. 730 proceedings at the Toronto Public Library? For more info, please click here.